HARTFORD - A committee has approved sending multiple bills to Connecticut's legislature that would install tolls on state highways. The General Assembly's Transportation Committee narrowly approved the plan Thursday in a 19-17 vote along party lines, with Democrats supporting and Republicans opposing the tolls. The proposal calls for installing tolls on Interstates 95, 91 and 84 as well as the Merritt and Wilbur Cross parkways. One bill would require a study on the tolls by the state Department of Transportation. Another bill would allow the DOT to set rates. The legislature would have a final vote on whether to follow the Transportation Department's recommendations. Democratic Gov. 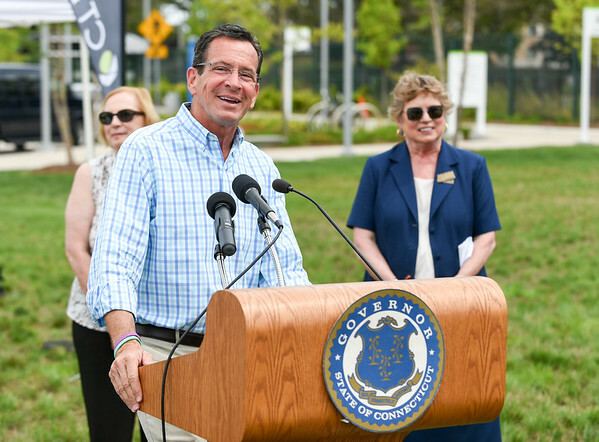 Dannel P. Malloy has also submitted legislation that would implement tolling by fiscal year 2023. Posted in Newington Town Crier, Business, Newington News, State on Friday, 23 March 2018 12:23. Updated: Friday, 23 March 2018 12:25.